Maryland Gov. Larry Hogan on Thursday announced $9 billion in projects to add lanes to Interstate 270, the Capital Beltway and the Baltimore-Washington Parkway to ease congestion in the traffic-choked suburbs of the nation's capital - a plan that includes toll lanes. Hogan said the plan to add four lanes to all three roads "will substantially and dramatically improve our state highway system and traffic throughout the region,'" while benefiting millions of Marylanders. "Daily backups on the Capital Beltway, I-270 and Baltimore-Washington Parkway have made the Baltimore-Washington corridor one of the most congested regions in the nation," the Republican governor said at a news conference in Gaithersburg. "This problem has been marring the quality of life of Maryland citizens for decades. Today, we are finally going to do something about it." 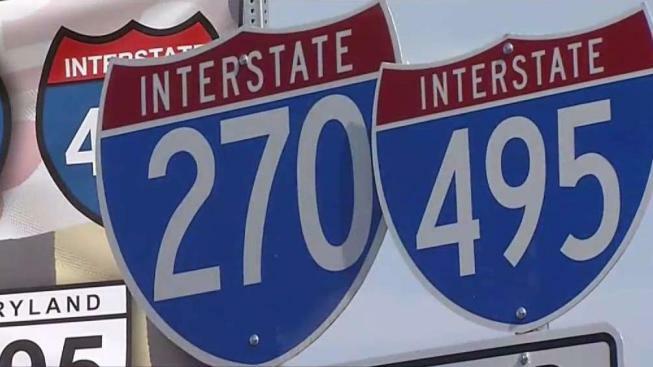 The I-495 beltway around Washington will be widened by four lanes for its entire length in the state, and I-270 will be widened from 495 to Frederick. Stewart Schwartz, executive director of the Coalition for Smarter Growth in Washington, said his organization is urging the governor to pause and look at reasonable alternatives, such as more public transportation. He cited concerns about environmental impacts, and he said the new capacity will encourage people who found other ways to commute besides driving to return to the roads and make them congested again. "If you build it, they will come," Schwartz said. The state will be seeking private developers to design, build, finance, operate and maintain the new lanes for those two projects in a public-private partnership, which is also known as a P3. "These ambitious and unprecedented traffic-relief plans will collectively be the largest P3 highway project in North America," Hogan said. Once completed, the plan calls for new express toll lanes, in addition to the existing lanes, on the three roads. Hogan said has met with U.S. Interior Secretary Ryan Zinke to begin the process of transferring the Baltimore-Washington Parkway to the Maryland Transportation Authority. The governor said he has directed state officials to finalize details and move forward with transfer negotiations. The statewide cost of congestion based on auto delay, truck delay and wasted fuel and emissions was estimated at $2 billion in 2015, the governor's office said. That was an increase of 22 percent from the $1.7 billion estimated cost of congestion in 2013, the governor's office said. More than 98 percent of the weekday congestion cost was incurred in the Baltimore-Washington region. Last month, U.S. Transportation Secretary Elaine Chao signed a funding agreement with Hogan to build a 16-mile (25-kilometer) light-rail project in the traffic-choked suburbs of Washington. The project, named the Purple Line, is also a public-private partnership. The cost to design, build and operate the line is estimated at about $5.6 billion.